Information regarding umpiring within Avon, including workshops and umpire requests, will be published on the Avon Netball Umpires Facebook Group. Further information can also be found below. The dates of upcoming courses in Avon and their booking forms can be found below. The next Into Officiating Courses are scheduled for September and February, and further details and booking forms will be sent out to Club Secretaries prior to each course. To be included on the waiting list, please contact the Umpiring Development Officer via this link. Details of the next C-Award course will be sent directly to those umpires who have attended the Into Officiating course. 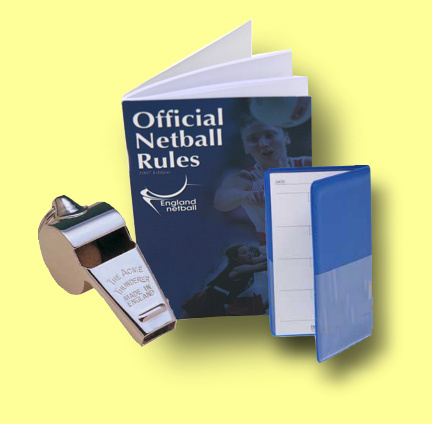 B-Award courses are organised by Netball South West, and personal invitations will be circulated to those umpires who hold the C-Award qualification. Click here for information on how to qualify as a C Award umpire, including courses, assessments, pass rates, time frames, fees and who to contact. Click here for the full version of Gary Burgess' game management guide. All teams should also provide scorers. Guidelines for scorers can be found here. To download the Umpire Feedback Form, please click here. This form should be filled out by the captain, or coach, if and when appropriate - it does not need to be filled in after every match. It will be used for highlighting umpires who are consistently good, as this will help us to identify our Umpire of the Year. Please return this form directly to Sandra Nash, one of the ANA Umpiring team, by clicking here.